So, we didn’t do so well at the Christmas activity every day thing, due to the arrival of FluGirl and having company.Â But, today we got back on the Christmas activity horse and did a really awesome Christmas activity. 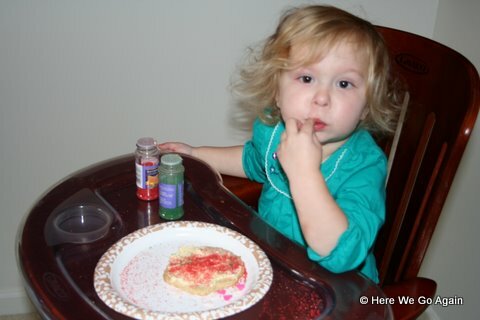 We had friends over to decorate cookies! 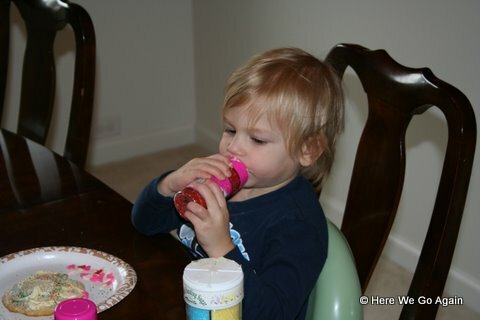 Elizabeth ate sprinkles.Â This is surprisingly identical to what she did when we decorated Thanksgiving cookies. 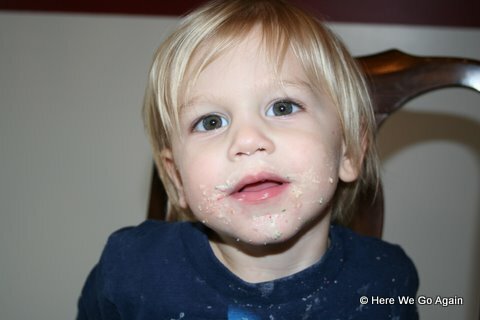 Isaac (who is Elizabeth’s best friend, despite being an older man at two and a HALF) also ate some sprinkles. 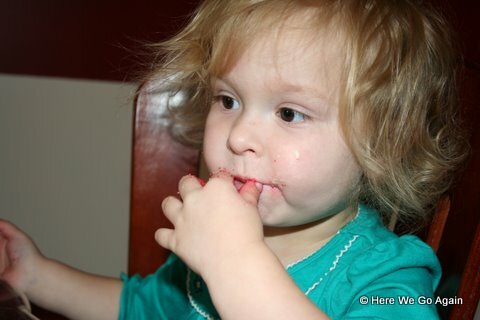 Elizabeth ate so many red sprinkles that her hands are stained pink, even after washing. Isaac (today, I finally remembered to ask Isaac’s mom if Isaac could have his picture on here, so I suspect you’ll get to see a lot more of him in the future) also ate his cookie and the frosting.Â Unlike Elizabeth, who just ate off the sprinkles and frosting, added more sprinkles, ate them, added more sprinkles, ate them, etc. 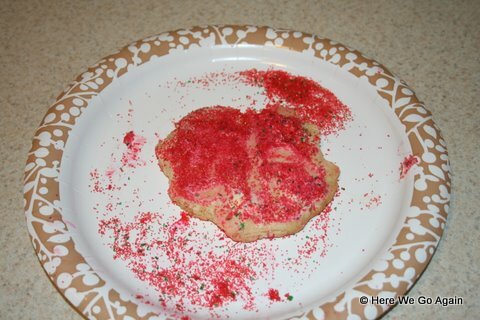 And here are the cookies we made!Â Two guesses as to whether or not we let the kids help with these. They are called Melted Snowman cookies.Â I saw them somewhere on a blog and thought that they were adorable.Â We didn’t use a specific recipe, but if you run it through Google, there are a lot of different tutorials with step by step instructions. 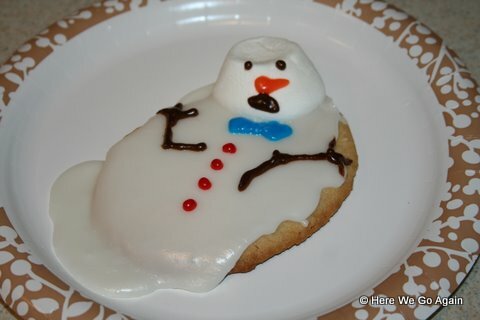 Now, here is another of our decorated cookies.Â Two guesses as to who decorated this one. Also, if you do these cookies, plan ahead better than I did.Â They took a surprisingly long time because we did each step as we went.Â We probably spent an hour just making different kinds of frosting.Â I really should have done those in advance, but we decided to do this last night and there really wasn’t that much time.Â Also, I had to tell Courtney to pick up marshmallows on her way over.Â For the icing, we also made the powdered sugar from scratch because there is something in commercial powdered sugar that tastes really gross to me. But the kids really liked decorating (and eating) their own cookies and they liked getting to do the smacking down of the cookie dough balls, so overall, it was a great success.